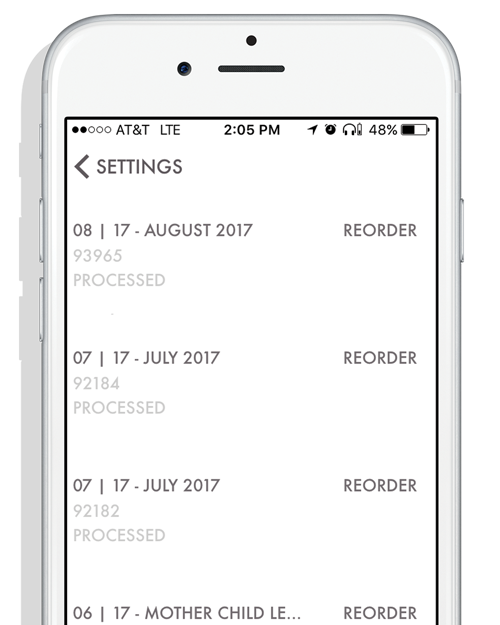 Under the App's settings menu you can see the Order History. Each previous magazine is listed there alongside a 'REORDER' button. Tapping that will send an exact copy of that magazine back to the presses. You are able to enter a completely new address/recipient during this process.